Bay City Players celebrates 100 years of theater. 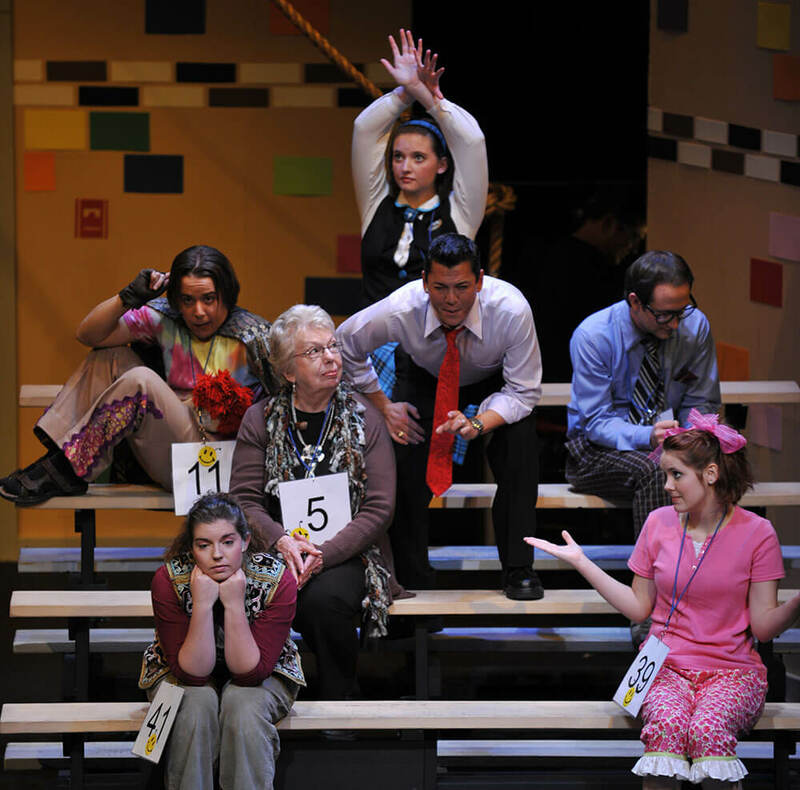 Bay City Players has exceeded well over 500 productions, with multiple shows per production, in its 100-year history. It is touted as Michigan’s longest, continuously operating community theater. Performances include comedies, dramas, and musicals designed to engage and entertain. The longevity of Bay City Players speaks for its success, but the group started with humble beginnings. Mrs. J.D. (Emily) Grinnell is credited with founding this community theater, then-named Bay City Art Club; the first performance was held on March 19, 1917—in Mrs. Grinnell’s living room. 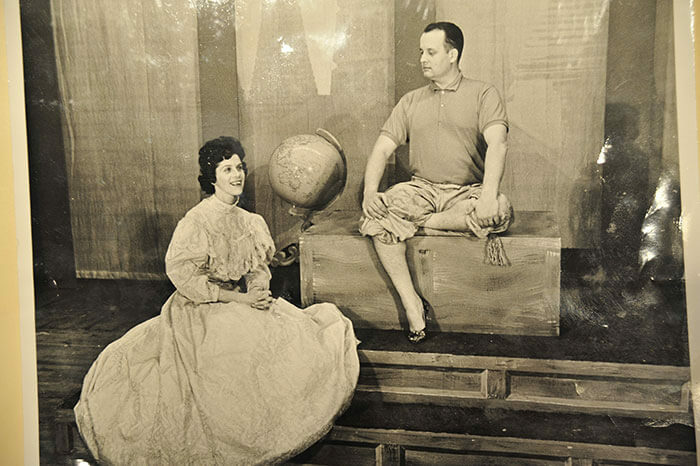 “Grinnell presented two, one-act plays as entertainment, though we don’t know who the original performers were,” explains Leeds Bird, honorary president and Bay City Players member for over 60 years. Actors performed in members’ homes as part of the Thursday Morning Musicale during World War I, and continued in the 1920s as the Musicale-Art Club before being renamed Bay City Theater Guild in 1929, and finally Bay City Players in 1931. During the group’s first four decades, players performed in private homes, local opera houses, schools, church halls, and movie theaters. In 1955, Bay City Players purchased its current location, then-named Pines Theater. During the last half century, the group has made numerous renovations, the first occurring by accident. “Somebody driving on Columbus Avenue lost control of their car and drove into the box office. The insurance money paid to replace the front of the building,” says Bird. The theater has since experienced three stages of renovations. “The first two phases were devoted to making production easier and better,” Bird adds. Improvements included additions to the stage, an orchestra pit, dressing rooms, storage areas for props, costumes, and scenery, a rehearsal room, and an office. The third phase focused on the audience’s experience by fixing the slanted floor, mounting acoustical panels, and installing more comfortable chairs. Bay City Players believes in the power of a great performance. Live theater, however, sometimes yields unexpected surprises for performers—with resulting titters from the audience. During one play, performers were acting out a scene while sitting on bales of hay. The scene wasn’t comedic, and the actors likely wondered why the audience was desperately trying to suppress their giggles. What the actors couldn’t see was a little mouse going in and out of the bales of hay. Laughter aside, what defining factor secured this theater’s continuity? 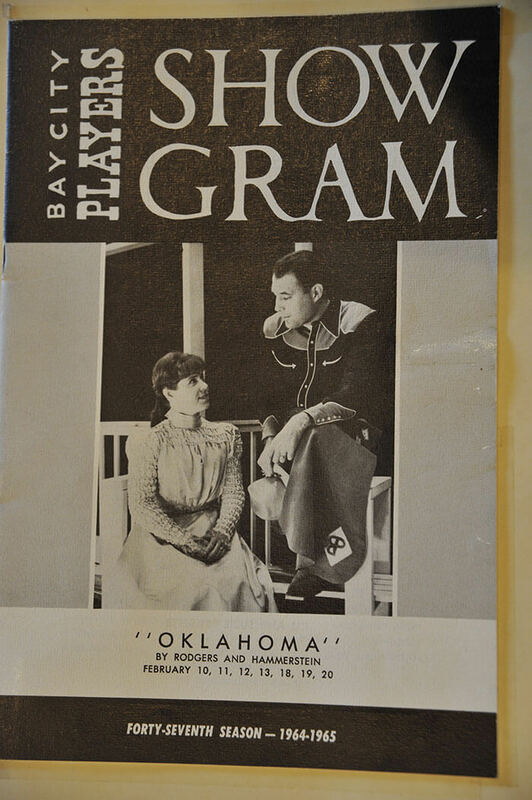 Jan Sorensen as “Laurey” and Frank Bradley as “Curley” on a Bay City Players’ program for a 1964-65 performance of Oklahoma! Bay City Players enjoys a volunteer base of over 400 people with about 120 volunteers serving on an average production. “In response to what makes Bay City Players special, one volunteer said, ‘I walk into a production with complete strangers and walk out with people I would consider some of my closest friends,’” Miller explains. It’s that sentiment and camaraderie among volunteers that ensures this community theater will continue to stand the test of time. To celebrate the significant milestone of its 100th season, Bay City Players hosted a gala on September 8 and 9. And while the community celebrated their achievement with them, Bay City Players are already looking to the future—after all, the show must go on!